If there is a country daily exposed in the international news today, that is, without a doubt, Greece. The economic situation, the growing discontent among its citizens, the new political configurations and the tensions between the European Union, the International Monetary Fund and the Greek government, have all surpassed the national context and now are part of an international case. In a recent trip to the Greek capital, the city of Athens, I tried to understand the production, development and circulation of art and culture in “difficult times”. For that I met and talked to artists and professionals from cultural institutions, and I dipped in the atmosphere of the city today. If we exclude those central streets crossed by tourists, the Acropolis area and some spring nights in Gazi or Exarcheia, the general atmosphere of the city is definitely quite tense. The economic crisis, which has evident effects on the daily life of the population, has certainly affected the art and cultural sector. At the same time, the points of view and perceptions regarding the vitality, the opportunities and the strength of the sector are quite discordant. On one side, the cultural and artistic field have been ravaged by the savage cuts brought by a widespread depression. On the other side, the cultural and social life in the city of Athens seems to remain bright and effervescent. What are the reasons behind this apparent contradiction? From a certain point of view, the public funding in Greece has always been quite small and the sector is used to struggle to find the necessary funds to survive. According to some Athenians, the economic crisis has awakened, paradoxically, a sense of vitality, a rediscovered sense of relations, giving new and higher relevance to the social aspects of life. Other Athenians, nonetheless, perceive a deep depression in the sector, pointing at the example of many artists and cultural professionals who have migrated to other countries. Beyond this interesting, mostly subjective and passionate debate, one thing is quite evident in contemporary Greece: art and culture are now taking a more social and political direction, working and reflecting on the consequences of the economic crisis. 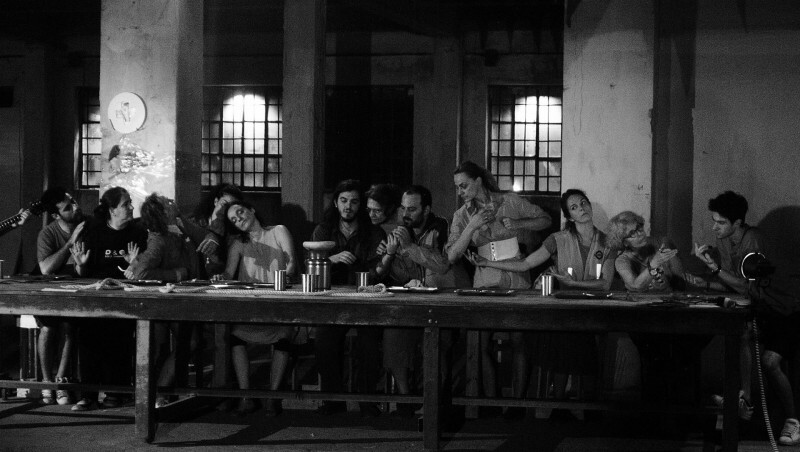 One of the most powerful disciplines in Greece – from ancient times– is theatre. Several young as well as long standing theatre companies, a myriad of venues of different sizes, from big theatres to small spaces for performing arts, overflow the streets of the capital city. The low ticket prices – most of theatres have adopted a standard prize of 10 Euros for the main shows, while offering quite often free entrance to unemployed people – have ensured long queues at the doors of these spaces. The crisis, in this particular atmosphere, has become a sensitive topic and many companies have brought it to the stage. 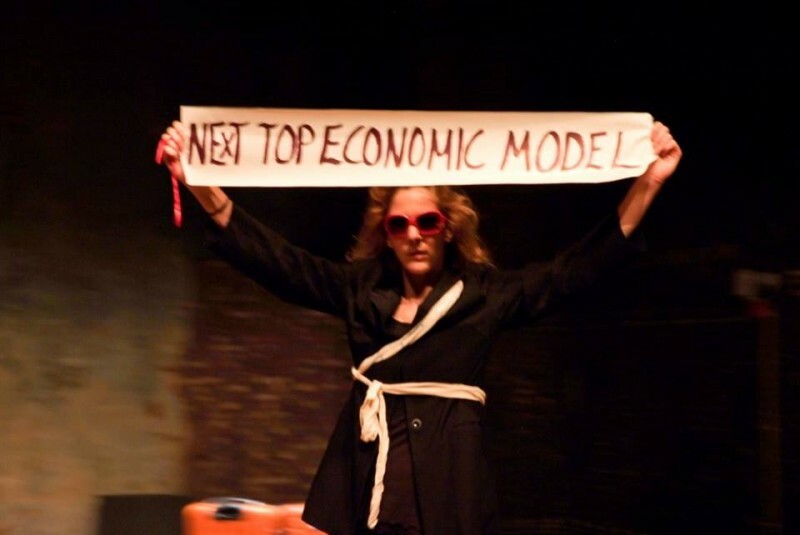 The multidisciplinary project and performance P.I.G.S./Sotiria, directed by Marilli Mastrantoni and produced by Theatre Entropia, addresses the financial, political and social crisis in Southern Europe, through the impersonation of a series of stigmas and stereotypes that humiliate people of different countries under the present circumstances. As the director stated: “Amidst a global crisis with complex challenges and painful changes, Europe was severely affected by the Markets’ speculative attacks”. 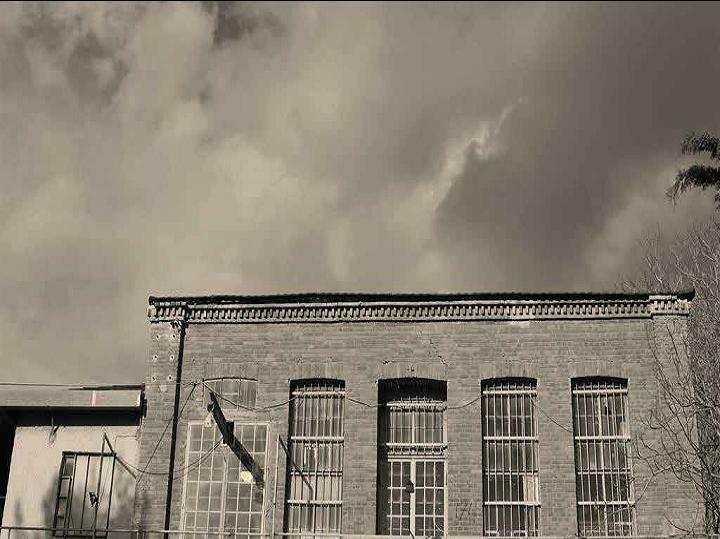 The ODC Ensemble, based at Vyrsodepseio (see below), is also producing several pieces and performances focused on the diverse aspects of the political, social and economic crisis. The role of gentrification and its effects on daily life in times of crisis constitute the main reflection behind the performance Re-volt Athens. The pieces DERMA/Skin – “a poetic metaphor for the current state of the Greek society into crisis” – and META – “a performance about the end of the world” – are also focusing on related aspects of the crisis, and find in the current situation, a powerful source of inspiration. One of the most interesting spaces devoted to contemporary arts and creation in Athens is Vyrsodepseio/Tannery. VYRSO in short is a multi-stage space located in Votanikos, a “no man’s land” area in the centre of Athens, surrounded by abandoned factories and street dogs. Vyrsodepseio, formerly the largest tannery in the Balkans in the 19th century and declared cultural heritage by the Ministry of Culture, is a symbol of re-birth and struggle in the middle of the post-industrial crisis. As expressed in the webpage of the space, Vyrso is: “An experiment on how to produce art in “difficult times”, an evolving project of synergies and co-operations”. I had the opportunity to visit Vyrso with her director, Elli Papakonstantinou, breathing the energy of the space and noting the interested they have in bringing to the space both locals and foreigners. A programme of art residencies and a strategic interest in playing a key role for the international networking of Greek artists are other important aspects of Vyrsodepseio. Among other events, Vyrso hosted part of the “IETM Athens Plenary” in 2013, titled “Tomorrow”, when more than 500 programmers and artists visited the city. Other important cultural infrastructures devoted to contemporary art in Athens – which are more rooted in the territory and go beyond the specificity of the “difficult times” - are the National Museum of Contemporary Art and the DESTE Foundation. Established in 2000, the National Museum still occupies the same provisional venue designated in 2002 although it will soon be relocated in the renovated facilities of the old Fix brewery. The DESTE Foundation for Contemporary Art, founded in 1983 by collector Dakis Joannou, is a non-profit institution devoted to the promotion of both emerging and established artists. DESTE presents several art exhibitions in its main space in Nea Ionia and in severalvenues around Athens. 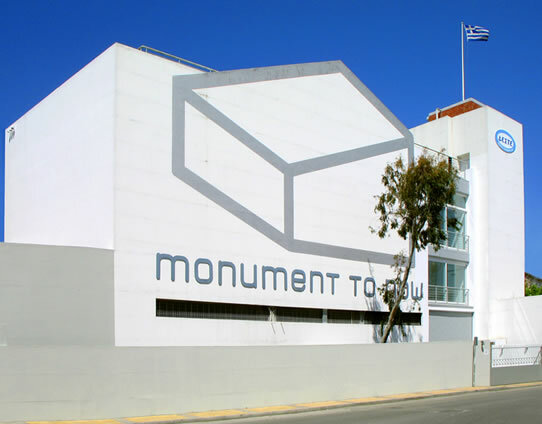 It isimportant to highlight its current collaboration with the Benaki Museum, “which aims to promote new and radical developments in contemporary art through a series of solo and group contemporary art exhibitions hosted at the museum”, as well as in its HYDRA space, located in the island of Hydra. One of the most interesting activities of the Foundation is the DESTE Prize, designed to support and promote young Greek artists. Beyond these big spaces for contemporary art and the exciting scene of theatres and performing arts venues, Athens has also an interesting panorama of emerging alternative spaces run by artists and a number of galleries with a sparkling activity. Among other interesting activities, one worth mentioning is the Athens Art Residency organized by Kappatos Gallery; a project launched in 2013 to promote artistic research and production through the international exchange of practice and knowledge. The Athens Biennale (the last one held in 2013 under the title of AGORA, aimed at creating a critical reflection and a space for exchange and debate) together with several international projects like the SEAAA Mobility Alliance or Kathréptis (a gathering to reflect on the cultural life of cities), complete a picture of a capital city currently in a state of transformation. If on one side, the economic and social crisis represent, no doubt, a terrible moment of distress and poses serious challenges, on the other side, Greece is again the central argument in the international scenario, awakening the interest of a wide and international audience. The artistic and cultural activities in Greece are living through an ambiguous, hybrid and ambivalent period: while the Ministry of Culture declares they have zero budget, new models and new formats are being explored, all of which are creating a sense of change, vitality and effervescence in the artists' community. The difficulties are real and tangible: several art and cultural professionals have already migrated, and the marginality of the sector is a constant threat. The response of the sector requires today a special effort and a deep critical reflection in order to understand both the role of arts and culture in the local society, as well as the impact and contribution of international projects and collaborations. Herman Bashiron Mendolicchio holds a European PhD in “Art History, Theory and Criticism” from the University of Barcelona. He is faculty at Transart Institute (NY-Berlin) and Post-Doctoral Visiting Researcher at United Nations University Institute on Globalization, Culture and Mobility (UNU-GCM). His researches involve the subjects of intercultural processes, globalization and mobility in contemporary art and cultural policies, the interactions between artistic, educational, media and cultural practices in the Mediterranean and the cultural cooperation between Asia and Europe. He has participated in several international conferences and developed projects and research residencies in Europe, Asia, USA and the Middle East. As an art critic and independent curator he writes extensively for several international magazines. He is Editorial contributor at Culture360 – Asia-Europe Foundation (ASEF), Managing Editor at ELSE – Transart Institute, and co-founder of the Platform for Contemporary Art and Thought, InterArtive.